The country of Sweden has many things to be envious of over in the United States of America: publicly-funded health care, Olympic champion cross-country skiers, and now a third thing can be added to that short, but illustrious list; singer-songwriter Anna Ternheim. Ternheim’s blend of folk, rock, and pop, starts big with the album’s first single “What Have I Done.” This opening track lays the groundwork for what is to come, a heavy focus on vocals and lyricism, backed by lush but not overpowering instrumentation. The majority of Leaving On A Mayday puts Ternheim front and center, singing plaintively lines like, “On my knees in a faceless crowd/ We go blind when the stakes are high,” with nothing more than a guitar and a muted drum beat. The occasional string accompaniment, as in the second track “Damaged Ones,” where those lyrics come from, round out some of the more densely instrumented tracks. “Leaving On A Mayday” is at its best towards the second half of the record. In the song “Summer Rain,” all that can be heard is Ternheim harmonizing, with either a backup singer or a second track of her own voice, and a guitar. Here the lyrics again are the focal point, to great success. My personal favorite of the record is the eighth track, “Summer Rain,” which showcases Anna’s tyalent at its best. “Off The Road” is once again Ternheim with just her guitar, a possible indication that the young Swede is at her best when not competing with other instruments. Going away from much of the formulaic, verse, chorus, verse structures of the beginning of the album, “Off The Road,” has a dirge-like quality to it. Hammering home some of the intense melancholia that is a hallmark of Ternheim’s writing. “Leaving On A Mayday” finishes off with the darkest titled track, “Black Sunday Afternoon.” Have no fear, though, the song is not all doom and gloom, and neither is the record as a whole. Ternheim’s voice is soft and sweet, a reminder that through the trials and tribulations something so pretty can make even sadness pleasing to hear. 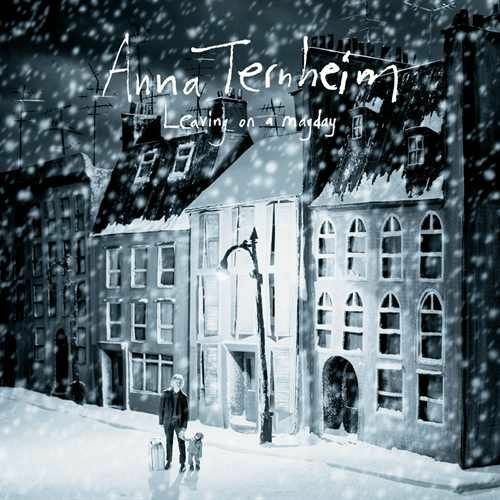 The trend in folk-rock, or anti-folk, or alt-country, whichever of the many genres that could claim Anna Ternheim, is to focus the attention of the listener on lyrics, and not on driving guitar licks, or four minute screaming guitar solos. In this mode, “Leaving On A Mayday” succeeds. Though the detailed arraignments at the start of the record make for strong to excellent folk-rock-pop fare, it’s when Ternheim strips down to nothing but her voice and one or two guitars, that the Swedish force, nominated for the Swedish Grammy’s album of the year in 2009, truly shines. If Anna Ternheim, scheduled for a 15 night US tour starting the 30th of September in San Diego, is to make a splash on this side of the Atlantic, it will definitely be on the strength of her voice and her guitar.